Survivors in New Jersey have come together to host regular blood drives, including on New Jersey’s annual Maternal Health Awareness Day (January 23). Follow our Facebook page for updates about local blood drives and events throughout the year. 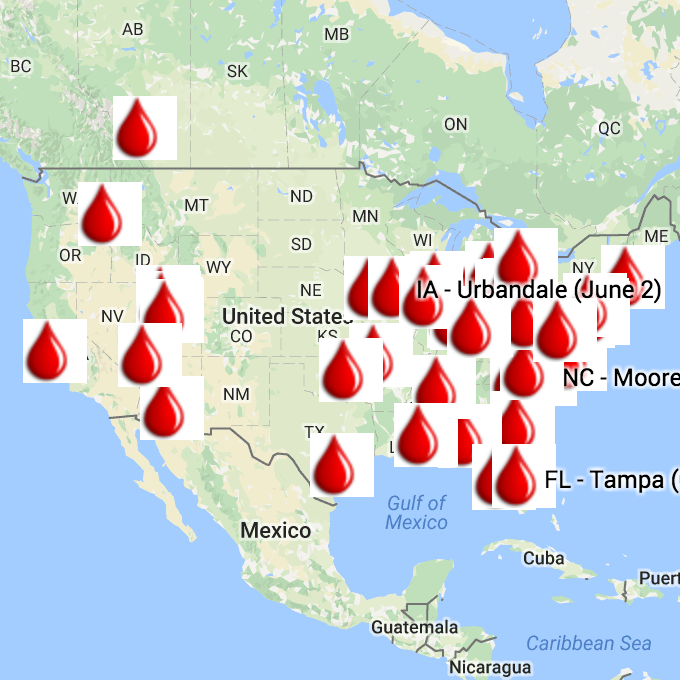 Did you know: there is a critical blood shortage nationwide. The demand for blood is always greater than the supply. Did you know that 9 out of 10 people will require blood during their lifetime? We hope you will join us at our next blood drive and be a hero for someone in need! Mothers and survivors will be in attendance to share their personal stories of why blood donations are so important and to thank those who give the gift of life. April 3, 2019- details to follow. Heroes For Moms teamed up with Rutgers Robert Wood Johnson Medical School and Robert Wood Johnson University Hospital to host a BLOOD DRIVE for Maternal Health Awareness Day. We shared the importance of endorsing the STOP-LOOK-LISTEN campaign as well as how your blood donations help new mothers return home to their babies and families. Heroes For Moms and Woodside Chapel MOPS held the second annual BLOOD and DIAPER Drive in support of New Jersey Maternal Health Awareness Day. Thank you for your support! See you next year. For more information about events in New Jersey, please email casey@heroesformoms.com. Follow our Facebook page for updates.